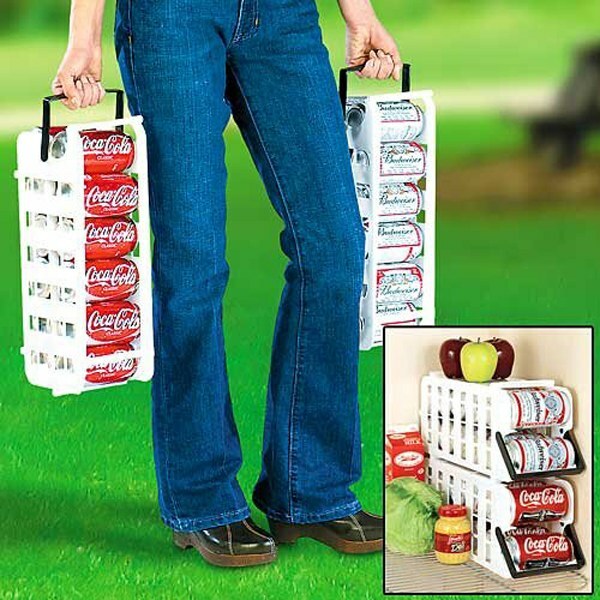 Store N Tote lets you store and dispense soda cans, and turns into a carrier to take them to go! The Store N Tote stackable can dispenser stores an entire 12 pack neatly inside your refrigerator, and has a convenient carry handle for when you&apos;re on the go! Store up to twelve 12 oz cans, and when one can is removed, another rolls into its place. Stack 2 or more together! Take it to the beach, patio, office, or anywhere you need cold beverages.